Rest assured, we’re going to answer that question for you right now. Not only can you use all of our SuperBeets products together, but you can also use them all in a single day, if you’d like. In fact, we recommend it because of their unique health benefits! SuperBeets is our original circulation superfood. SuperBeets helps support healthy circulation, heart health, and healthy blood pressure levels with the nitric oxide potential of non-GMO beets grown in the U.S.
SuperBeets Energy Plus is infused with 80 mg. of plant-based caffeine from green tea extract to help promote mental focus and a smooth, heart-healthy energy boost when you need it the most. 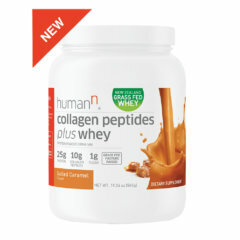 SuperBeets Collagen features high-quality collagen peptides from grass-fed cows that were enzymatically hydrolyzed into low-molecular weight peptides for optimal use in your body to help support healthy skin. 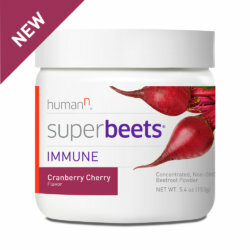 SuperBeets Immune is our most defensive formula yet, and our first to help promote your immune health. 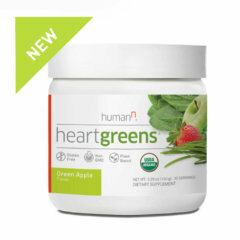 It features 250mg of Wellmune, a yeast beta glucan with over 12 clinical studies to its name. You can take any SuperBeets at any time of the day – the choice is yours! We know that everybody is different, so what works for some may not work for others. That’s why we recommend experimenting the first week or two to see what works best for you. To make the decision easier for you, we put together a sample daily schedule that we hope is a helpful way to get you started, whether you’re using just SuperBeets or looking to use all of them together. But remember, this is just one example. If you’d like more tips or advice, you can reach out to our great customer support team at info@humann.com. Morning: If you’re one of those people that feels a little sluggish after you wake up, now may be a good time to take SuperBeets Energy Plus as a heart-healthy alternative to that second cup of coffee to help promote mental focus and energy to start your day. If you’re already 3 cups of coffee into your morning, then we’d recommend SuperBeets. This way you can check the box early in the day for helping to support healthy circulation and be on your way. If you’re not in need of that morning pick-me-up and are more concerned about your immune health throughout your busy day or stressful week ahead, SuperBeets Immune can be a great way to start each day. With 250mg of Wellmune, SuperBeets Immune helps you promote immune health and stay healthy during times of stress. Noon: A healthy alternative to the soda you may have your eyes on, adding SuperBeets Collagen to your lunchtime is a delicious way to satisfy your sweet tooth and help do something good for your skin while you’re at it. It may taste like cranberry cherry fruit punch, but it’s definitely better for you! If you want to get ahead of your 2 pm afternoon crash, this is also a good time to take SuperBeets Energy Plus if you haven’t already. Pre-Workout: If you’re hitting the gym or the pavement, many of our fans like to use SuperBeets or SuperBeets Energy Plus prior to exercising for an added boost to help them power through their workout. 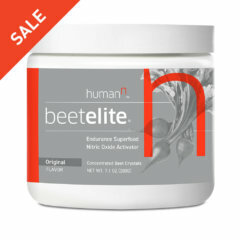 For longer endurance workouts, you could also check out BeetElite. Evening: As you are unwinding at the end of the day, if you haven’t taken your SuperBeets Collagen for the day, now is great time. And if you haven’t had your daily serving of SuperBeets Immune, this could be a great time to fit it in, to help you strengthen your natural defenses before heading to bed. And that’s it. You’ve had your SuperBeets for the day! If you’d like to take all four SuperBeets at once, you can! 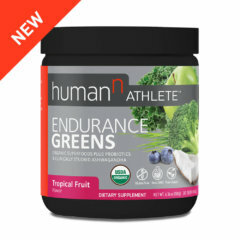 We would recommend trying it with a bit more water, closer to 12 ounces of water than the usual 4 to 6 ounces. 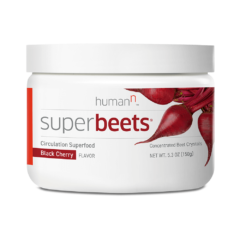 SuperBeets (Suggested Use) – Do not exceed two 5 gram servings in 24 hour period. SuperBeets Energy Plus (Suggested Use) – Do not exceed two 5.4 gram servings in 24 hour period. 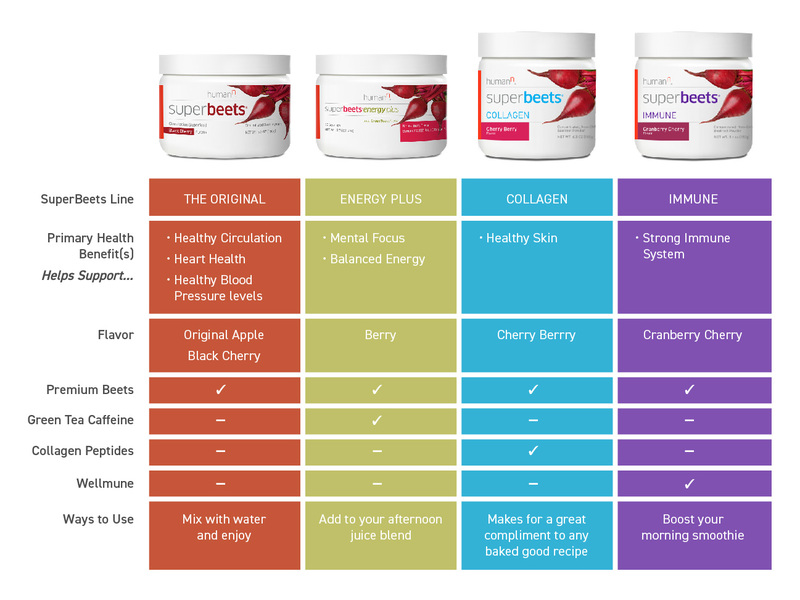 SuperBeets Collagen (Suggested Use) – Do not exceed two 6 gram servings in 24 hour period. SuperBeets Immune (Suggested Use) – Do not exceed two 5.1 gram servings in 24 hour period. If you’d like to try adding Protein40 to your evening routine to help fight muscle loss, that could be a great idea, too. 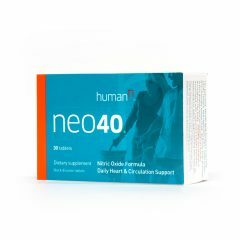 You can learn more about Protein40 here.